This past weekend, I raced in Formula 1 and grew and harvested bamboo, all while drinking beer and eating pizza. Mike and I went to The Brooklyn Strategist in Cobble Hill with our friends Matt and Rachel on Saturday night. The game center and cafe has board games from all over the world, a bunch of tables, and yummy-looking treats for sale. And, for just $10 a person, you can hang out for four hours, play whatever you want, and bring your own food. 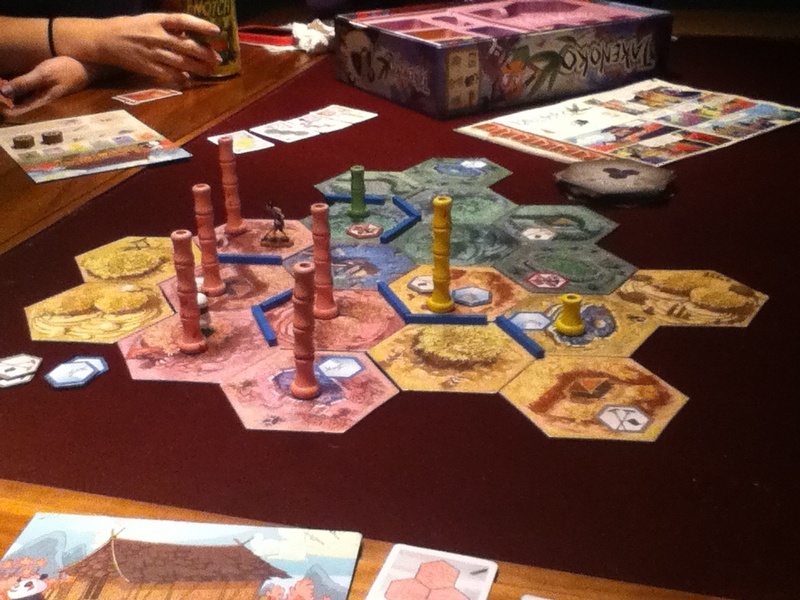 We got pizza from a place down the block and played a car-racing game and Takenoko (my favorite of the two), a complex game based on irrigating land, planting bamboo, and having pandas eat it. We ended the night at 61 Local–one of Matt and Rachel’s favorite local spots. The bar was definitely my style–laid back, homey, with a creative, artsy vibe–but the Strategist was the hit of the night. What a different way to spend a Saturday evening!